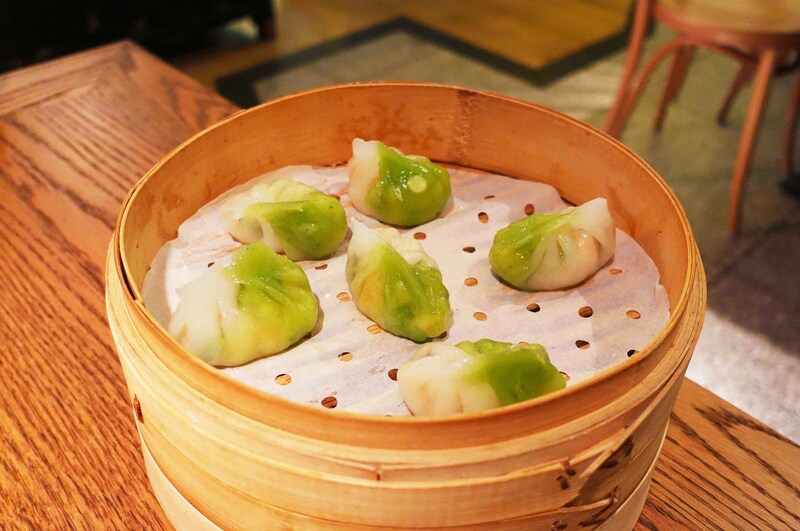 Lotus Restaurant is one of my favourite Chinese restaurants in the city and for good reason, the dishes and venue are simply amazing. 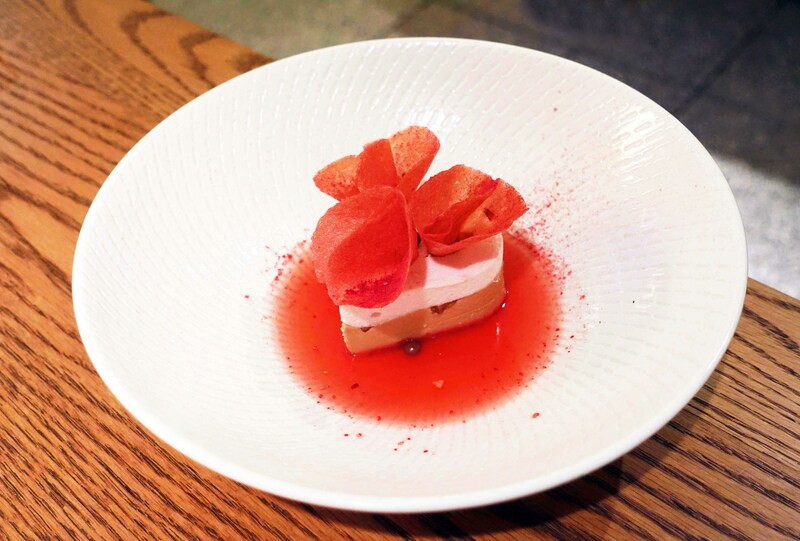 I had the pleasure of recently re-visiting the restaurant, but this time to check out an amazing collaboration between Lotus, Black Star Pastry and Valrhona chocolates for a special Mothers Day dessert degustation menu. 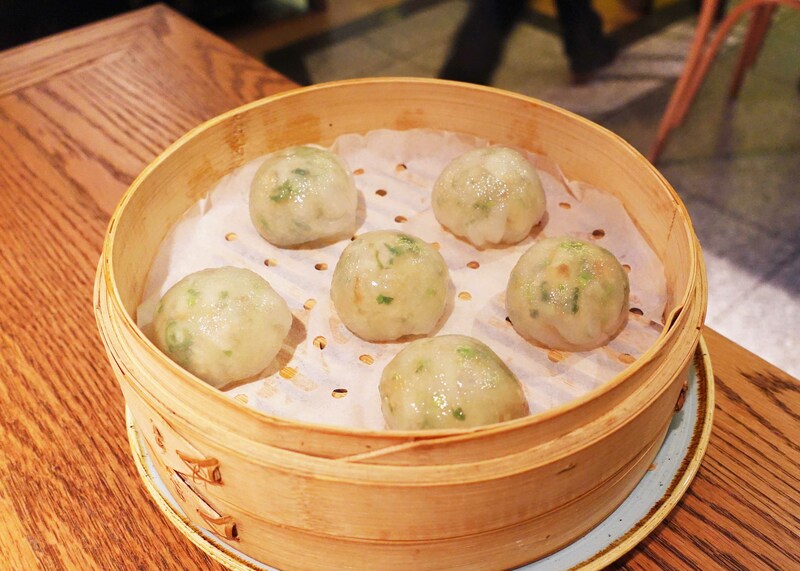 To get the ball rolling we were provided with a small savoury selection of dumplings including my all time favourite steamed jade prawn dumplings. As always, the texture and taste of the dumplings make them one of my favourite dumplings in Sydney, I almost forgot how good they were! The dessert degustation starts with the passionfruit bubble. 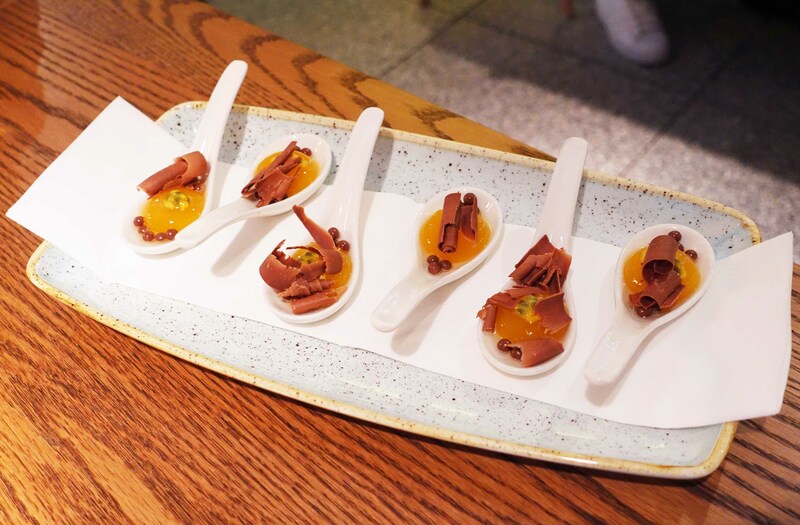 It’s served in the style of an appetiser and consisted of what I believe is a bubble of passionfruit jelly topped with shaved Valrhona Jivara chocolate, the combination of sweet and sour provided for an interesting sensation when the sour bubble ‘popped’. My favourite dish of the lot was definitely this particular one one simply due to the extra creamy Valrhona Opalys white chocolate. 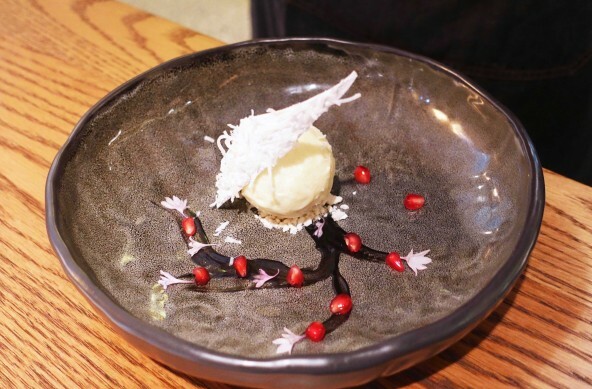 I always adore chocolate and coconut but to top it all off, the dish was also very beautifully presented with a little cherry blossom made from pomegranate and black sesame. This striking dish came out second and was probably one of the most unique items on the menu, the bavarois itself tasted quite light due to the layering but consists of the delicious Caramelia chocolate from Valrhona which gives it a very defining caramel taste. 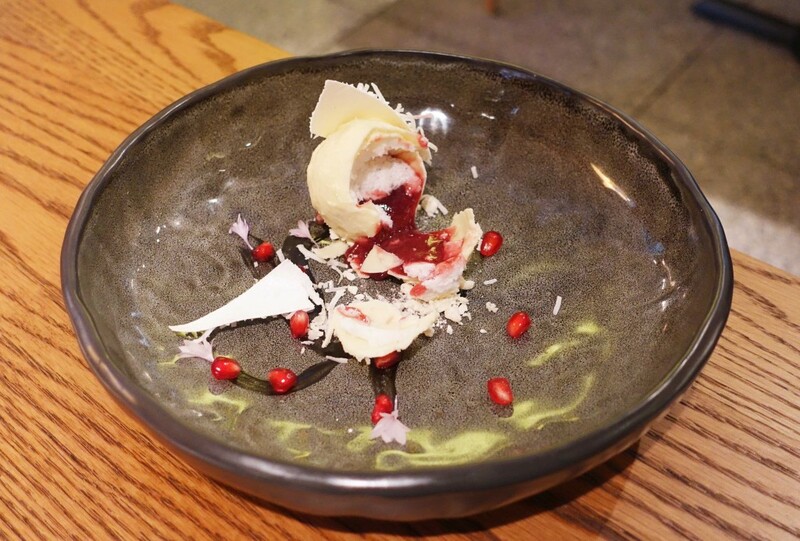 This particular dish definitely stood out as having the strongest of flavours, and that is probably due to the fact that it is made from the Valrhona Manjari dark chocolate which is 64%. 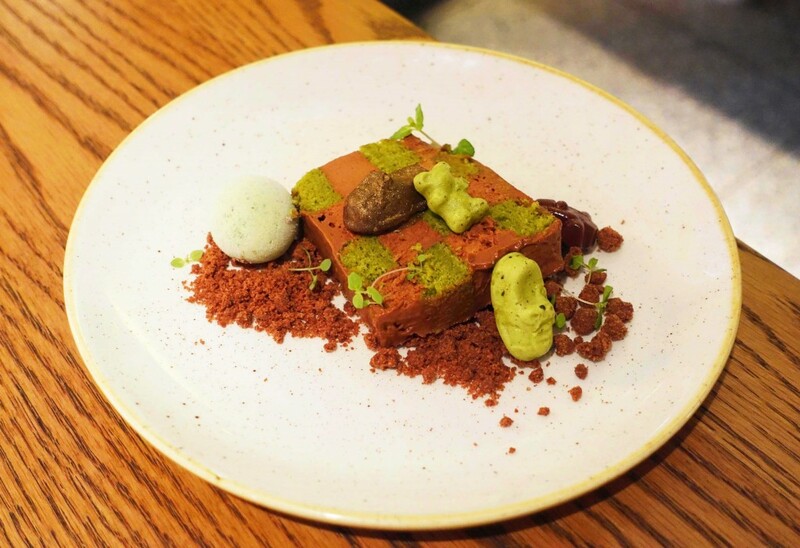 The matcha and mint gives a nice reprieve from the chocolate and also creates a delicate balance in flavour. 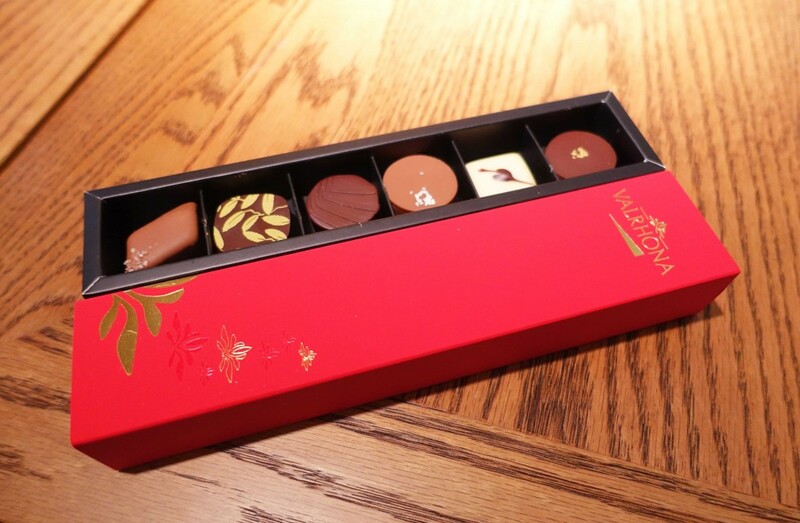 Most people wouldn’t ever consider a Chinese restaurant for a sweet degustation but given the quality of the food at Lotus as well as the unique collaboration with Black Star Pastry and Valrhona you should definitely think twice for Mothers Day – you even get a box of chocolates each to take home! Those visiting on other occasions, the restaurant also serves up a mean traditional menu as well as a ‘Lo Tea’ experience for those looking for a twist to the regular high tea. I’ve reviewed them twice before and loved every experience so far, previous posts cover the venue itself as well as the traditional menu. 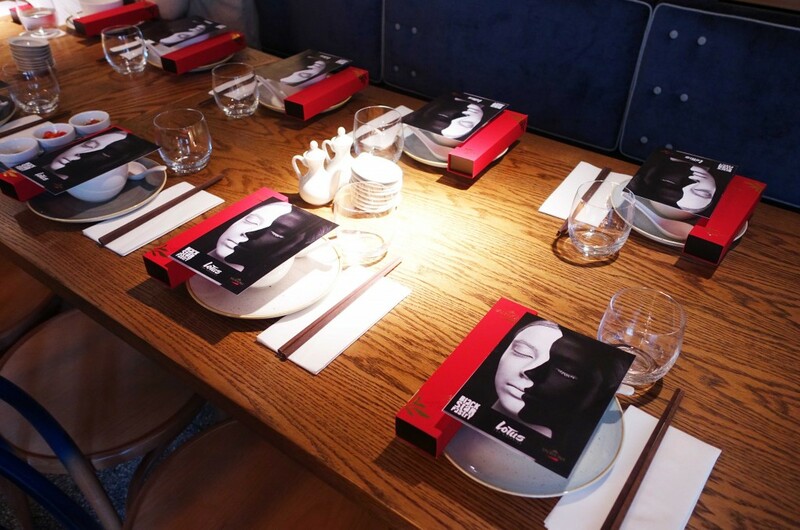 The Food Diary dined as guests of Lotus Restaurant and Wasamedia.